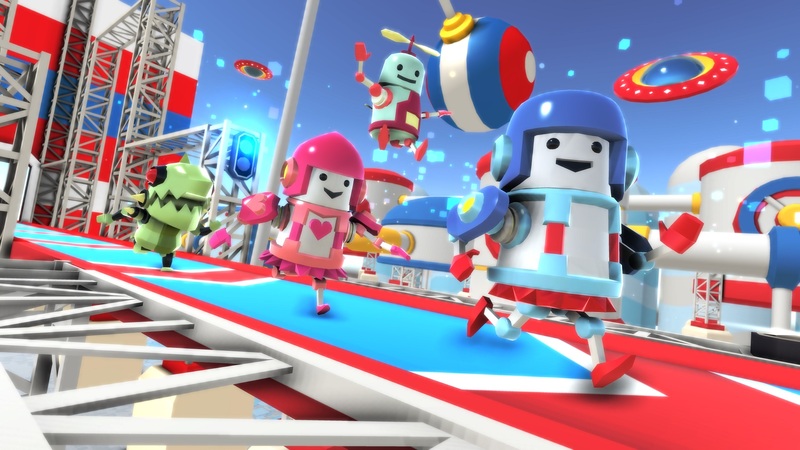 Oopstacles is best described as "Wipeout meets Mario." 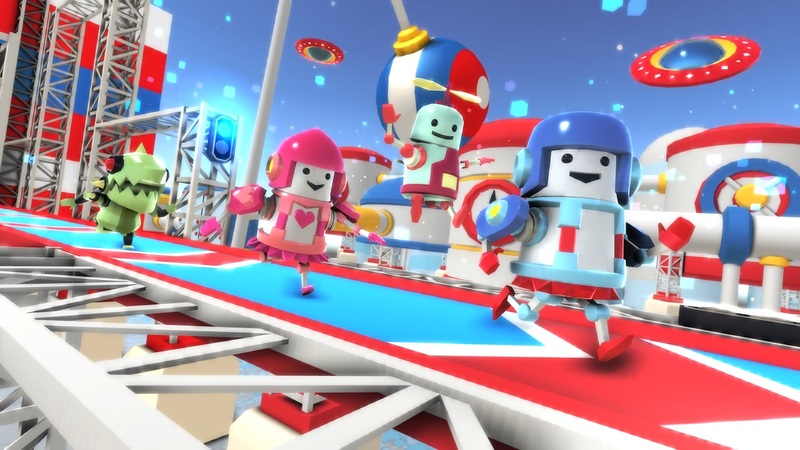 It’s a ragdoll runner for all ages, with quirky avatars and padded obstacles reminiscent of TV shows like Wipeout, MXC and Slime Cup! With Oopstacles, I wanted to do things differently to other runners out there - I found the 3-lane, 4-direction swipe style had been overdone. I wanted to design something with beautifully simple controls, but elegance and depth to the gameplay. So, I created a single lane, one-touch control system that anyone could pick up and play with ease. Jumps, rolls and other contextual animations occur automatically at trigger points. It relies on the player’s timing, dexterity and ability to read upcoming visual patterns. For replayability, timing and order is randomised and different on each play. For challenge, the further the player gets, the faster and denser the obstacles get! I didn’t like that a lot of games do an image share of stock or unexciting moments in their game. Why would I want to share an image to social media that isn’t at least interesting or funny? So, I created a GIF capture system of the funniest moment in our game - the ragdoll "knockout" moment! This automatically captures the final few seconds of the avatar crashing into an obstacle and getting flung away. Since it uses ragdoll and physics, it’s always unique - the player is always seeing something new and exciting! On top of that, there are over thirty original avatars with different shapes and sizes, making the knockout moment even more unique. In the 2000s, obstacle course runs were very popular on TV, with shows such as Wipeout and MXC. In more recent times, shows such as Nickelodeon’s Slime Cup and American Ninja Warrior have become popular. This was the inspiration for a padded obstacle course theme. We wanted more of a fantasy setting, with all sorts of fun and crazy-looking avatars, so instead of humans we created fantasy creatures and robots. This also allowed us to create much more interesting sound effects and names for our avatars. I didn’t like the idea of a disjointly separate avatar select screen, so I integrated our avatar select system into the theme and implicit story of the game - the creatures have been captured and are hanging on rails, squirming to escape! This made the avatar select easily accessible from main menu, swiping left and right to select an avatar, with a single press of the Play button to start a game. It brought the visibility of the avatars and the accessibility of their IAP more into the open, rather than having them in a separate screen. I wanted to create a clean and simple GUI, without clutter that could confuse or turn off a player. Some games pack so many buttons into their main menu, especially after multiple app updates, that they become cluttered beyond belief. The game logo and Play button are the two most important elements on the main menu, so they are most prominent. Any other minor buttons such as the Options menu, Record menu or Shop menu were collapsed into an expandable fanout button in the bottom corner of the screen. Furthermore, avatar names and counts only appear if the player swipes to change the selection. I wanted to create mid and long-term goals, so I added cross-platform leaderboards, achievements, and the team added many unlockable avatars with unique sounds, art and effects. I always felt cheated when playing a prize machine and getting a “Try Again” notice because I already owned the avatar that came out. I wanted to always reward a player with something from the prize machine, since they had worked hard to earn the coins to play it. So I created an extensible powerup system where they receive shields instead. These shields serve as “second lives” in the game, either destroying an obstacle or allowing them to revive. They also key in nicely as an IAP currency. Future updates may include new powerups. For me, being able to skip cutscenes is a must, especially if you have already seen them. As such, all cutscenes in Oopstacles are skippable. Passing a set of obstacles is a big achievement in the game - as it is in TV shows like Wipeout and Ninja Warrior - so it deserves a big reward. To celebrate, there is a small section of runway with some blazing urns, coins and fireworks, where the avatar cheers as they run through it. The game over screen is a great opportunity to display randomised offers such as quests, ad rewards, revives, the prize machine, and IAP specials. Also accessible are links to GIF sharing, leaderboards and achievements, which are contextually appropriate here. Every so often, if there are no valid offers to display, an animated GIF share preview will pop up. Oopstacles was designed for a worldwide audience and can be picked up and played without any instructions or text. It has intuitive controls and universal iconography in its GUI. For clarity of purpose, it does contain text along with buttons and icons, which has been translated to 13 languages. I created a custom localisation system that reads from an XML file, exported and configured in Excel with notes for translators. For usability, I made the system reactive in real-time, such that changing the language did not require a soft reset - Unity GUI Text components pick up the language change event and adjust their text accordingly. It also includes support for right-to-left languages such as Arabic. I didn’t like that some games, for whatever reason, make their Options menu only accessible from game over or main menu. I created a generic prefab that was accessible from both. Post-release, new features were added such as a multiplayer versus mode, a level progression mode, and a voice-control mode. 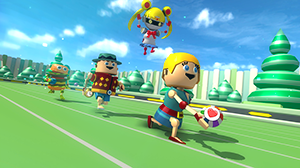 In addition, cute new avatars and zany new obstacles have been added over time. The game was also ported to the Amazon Appstore and Mi Store.